Who said food blogging didn't get you anywhere? I was pretty taken aback when I was approached to be one of the editors for the new Eating and Drinking Sydney guide earlier this year. It's the kind of offer a food writer dreams about, and then freaks out over, when you realise the magnitude of responsibility this position entails. As editor for the Cheap and Cheerful section, I was entrusted with creating a list of 170 best budget feeds from all over Sydney. This was tough. There are so many amazing places to eat, and culling them down to get a good representation of cuisines and suburbs was excruciating. Thankfully I didn't have to visit and write about every single venue, but I did submit a significant proportion of reviews as chief contributor. I also had to come up with several themed Top 10 lists - all good fun. Juggling deadlines with a full-time job and blogging was definitely a test of endurance, but like so many things in life, it all came together in the end. 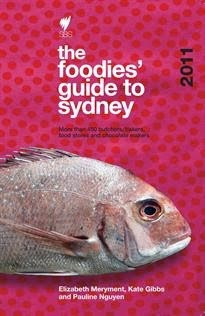 It's still rather surreal to see my name on the front cover of a Sydney eating guide! 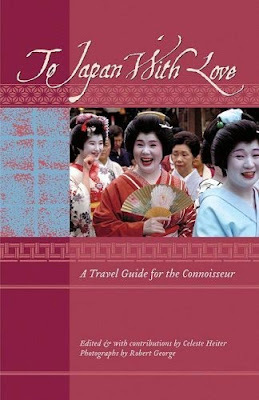 Professionally, I found it was a fascinating and incredibly illuminating experience, particularly working with the book's editor and project manager, Clare Brundle, who had the herculean task of overseeing the text and writing style of a team of 40 contributors across all three sections: restaurants, cheap eats and bars. That's more than 700 venues in total! Elizabeth Meryment is Sydney's only food critic in stilettos. Her irreverent restaurant reviews appear each week in The Sunday Telegraph and she occasionally 'gets serious' by writing old-fashioned long-form journalism for the brainy likes of The Weekend Australian. In her spare time, she co-authors the much-loved Foodies' Guide to Sydney and does yoga to ward off the evils of over-eating. Helen Yee is a freelance food writer who counts fried chicken as an essential food group. She writes a monthly suburban eats column for Time Out Sydney and is a contributor to the Foodies' Guide to Sydney. 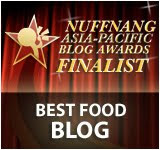 Follow Helen's eats on her popular Grab Your Fork blog. Genetically cursed with a low tolerance to alcohol, this thirsty food writer overcame her disability and evolved into a bar-hopping butterfly with a penchant for Prohibition-era cocktails. Rather partial to cooking too, Anna has been blogging at Morsels & Musings since 2006. 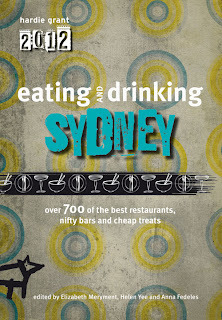 Eating & Drinking Sydney will be released in Australia on September 1, 2011 with a recommended retail price of $29.95. An iPhone app will be made available shortly afterwards. Thanks to the publishers, Hardie Grant, five lucky Grab Your Fork readers will win their own copy of the first ever Eating and Drinking Sydney. Leave a comment on this post and tell us: Where is your favourite cheap eat? And then send an email to grabyourforkfreebiefriday@yahoo.com.au with the subject heading "Cheap" and include your full name and a copy of your published comment from this post. Enter via the Grab Your Fork facebook fan page. Simply leave your answer on the event listing here. The winning entry will be decided on honesty, creativity or entertainment value. Don't be shy! You've got to be in it to win it! Readers may submit multiple entries as long as each answer is different. The Eating and Drinking Sydney competition closes on Thursday 8 September 2011 at 9.30pm AEST. The winner will be announced on Grab Your Fork on Friday 9 September 2011. Thanks everyone for your entries. This competition has now closed. The lucky winners have been announced here. Congratulations Helen!! I can't think of a better person for the job, can't wait to read it when it's out! My favourite place is La Piadina in Bondi Beach. North Italian flatbread with top ingredients (my favourite is the speck), followed by home baked cake or tart.. and a good coffee. There's always a nice sound track (soul, jazz, funk, electronica) and there's cute, quirky and kitschy decorations to look at which changes regularly. My favourite cheap eat is Ayam Goreng 99 in Kingsford. I can't go past their nasi uduk - it's even better than my mother-in-law's who's Indonesian herself! my favourite cheap eat is mappen ramen, skyview plaza in sydney city. yummy noodles, a huge array of fresh tempura, quick service. what's not to love? My favourite and best cheap eat is Prawn Laksa from Malay Chinese Takeaway Shop in Hunter St, Sydney. For under $10($9.80) it has to be the best meal in town. Beautiful flavours and very filling - you have to get there by 11.50am to get a seat at lunchtime and if you go after 12.15pm the line is out the door. In Winter I have to have at least 1 laksa a week! Ahhh brilliant! You rock Helen. Good on you! I also absolutely agree with your sentiments on fried chicken :-). My fav cheap eat is Tim's BBQ Kitchen in Hornsby. They do a mean roast duck. Half for $13!! And they have some amazing lunch specials for under $10 .. Laksa, Schezuan Chicken and the likes! My favourite cheap eat is located in a little unassuming food court of Hunter Connection in the CBD. It's called Phuong and serves THE BEST Vietnamese fresh filled bread rolls for, wait for it, as little as $3.50 for the vegetarian option and $4.50 for a barbecue pork stick, pork cold cut or chicken rolls. In fact, if you're looking for a testament of how good this place is, you should visit at lunch. A sea of people surrounds the little hole-in-the-wall shop, but service is always courteous and efficient. Having witnessed the success of Phuong, many of the other stall have now added Viet rolls to their offering, but nothing beats the original. I literally have to have my weekly fix of these, otherwise I turn very very grumpy! PS Congratulations on the offer and your role - what an exciting expereince! Congratulations Helen on the gig. Cheep and Cheerfuls is just the perfect section for you to take on, as daunting as the deadlines etc were. Congrats Helen, well done! My favourite cheap eat is Thai La Ong 2 on King Street, Newtown: $6.5 lunch special, generous serving, super fast, good flavour, especially the curries and the Pad Thai. Wow, congratulations! it sounds like a lot of work but fantastic for us! i love Circa Cafe in Parramatta. My favourite cheapie is Chinese Noodle House in Quay Street, Chinatown. 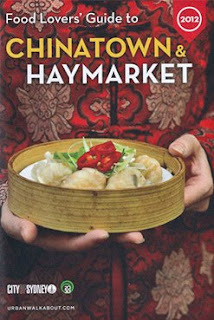 Can't go past the pan-fried dumplings, hand-made noodles and the fragrant braised eggplant... so good! That's where my partner took me for our first date, and I'm still not tired of it after all these years! My favourite cheapie of the moment is Island Dreams Cafe in Lakemba, followed closely by Jasmin - just across the road! Congratulations Helen, so good to see you continue to be the authority on cheap and cheerful. Congrats on what I know will be a great read. Fried chicken is definitely, if not the most important, food group!! You are, in a word, sublime. Go Helen! My favourite cheap eat at the moment is "Nam Fong Hot Bread" in Bankstown which does a life-changing $3.50 "grilled beef vietnamese roll". Today they ran out and all I could say to the service lady was "...sad"
Congrats! Now who said eating and writing about it wouldn't get you places? Book looks great, congrats Helen! The tastiest liquified pork bone. Egg noodles that drink it up and come to resemble juicy sausages. A pork spare rib that's roasted to perfection. But wait for it - you decide to order the chili pickled cabbage too. So you carefully dip your spoon into the broth, chopstick on a few strands of noodle, a touch of pork and a smattering of the chili pickled cabbage. The flavour is like an explosion in your mouth. You take your time eating it all and enjoying every second of it. Gumshara ramen. Always a winner. Congratulations Helen...fantastic news and bloody well deserved too! I can't think of anyone else who knows their way around a Sydney eatery better than you! I still think Una's is good value. $20 for a humongous schnitzel! Congrats Helen! I can't think of a better person to write a list of Cheap and Cheerful places - you always manage to find the most amazing cheap eats! A big congrats to you Helen - I can't think of a better person to take on the task...I love your blog and can't wait to read your entries in the new book. My favourite cheap eat...Mappen on George Street, words cannot describe how happy that $4.90 bowl of udon noodles makes me. My favourite cheap eat is at Chinese Noodle House in Haymarket..
Congratulations on such a sweet (and well-deserved) gig! The guide sounds fantastic, I'm going to need it when I'm next in Sydney. Awesomw! So difficult to choose, but my family loves to get an on the run snack at Barbys. It's so hard to choose but I think my favourite cheap eat would be the little Vietnamese stall in Sussex St Food Court. I really love to eat their noodle salads, and you can also get a sweet bean drink for dessert. So yummy! Is a Lebanese diner called Abdul's. Abdul's felafel is easily the best! It's a really great find. Awesome news on the new publication! My favourite cheap eat is Thursday Night at Sticky Bar (Surry Hills, above Tablefor20), can't go wrong with a massive bowl of paella + a pisco cocktail for $20.. their wednesday night roast + wine for $15 is good too.. but the servings of paella are solid, the flavours are spicy, the pisco sour has zing, in a combo, it's sensational value. Currently loving Meet Fresh desserts. Massive portions for very very decent prices. I can't finish one on my own, so I have to share with someone, sharing the cost too!! I also absolutely agree with your sentiments on fried chicken :-). My fav cheap eat is Tim's BBQ Kitchen in Hornsby. They do a mean roast duck. Half for $13!! And they have some amazing lunch specials for under $10 .. Laksa, Schezuan Chicken and the likes! Where do you get the best (the BEST) felafel rolls in Sydney? I'm not telling. But the felafels are plump and herby, the hummus has a distinct lemony tang, the tabouleh a salty crunch and the home made garlic sauce is bright and creamy, all this wrapped in a chewy pita bread costs less than $5. A dollar extra for a hefty dollop of tomato green beans. YUM. My ultimate cheap eat is banana bread at Cafe Xeno in Crows Nest. It's the ultimate banana bread in Sydney, beautiful sweetness of banana, perfectly toasted and a delicious cinnamon butter to slowly spread on the top. Best cheap eat is Albee's Kitchen @ 282 Beamish St, Campsie. Truly authentic Malaysian food. Get your belly full without hurting your wallet. Dishes is mostly around AUD 8-15 and their menu is quite extensive too! Probably can go there everyday in a month and still can order different dishes! Yum, now it made me even more hungry.. I love New Shanghai in Ashfield because the portions are big and the bill is small! Trattoria il Segreto Pittwater Road Brrokvale. Vini makes all the pasta and gnocchi, beef proscuitto, pesto, his own limoncello and so much more all learnt from his mum and dad back in Italy and imbues it with the same passion that made him 'Mr Italy' champion bodybuilder for years. The little altar to his days as champion near the front door has to be seen. Lebanese pizza places are the best. There's one on Haldon Street in Lakemba that is so good. I can't remember the name but it's a tiny bakery that always has a line of people waiting. The oregano pizza is only $1.50! peters restaurant at macquarie fields. Cant beat the value. $11 for all you can eat smorgasboard which includes chinese dishes, desserts (their chocolate mousse is to die for! ), fruit, soups, lasagne. Free drink refills. Top value for a night out for dinner. I've always found Chinese restaurants/eateries to be the best in value - beautiful cuisine at a reasonable price! My favourite cheap eat (so far) would have to be New Shanghai Chinese Restaurant in Ashfield. The xiao long bao was the highlight, with its chewy skin and plentiful broth (my favourite part of the dumpling). The other stand-out dish was the pan-fried pork bun - a bit oily, but the crunchiness of the base contrasting with the lightly steamed surface made for a real delight when biting into it. Overall, a great cheap eat! One of my all time favourite cheap eats is Old Kitchen Sichuan in Eastwood. The whole menu is quite affordable, but the greatest dish is the dan dan noodles. It's a massive serving for only $6.80. It's the cheapest and most filling dinner I can think of!